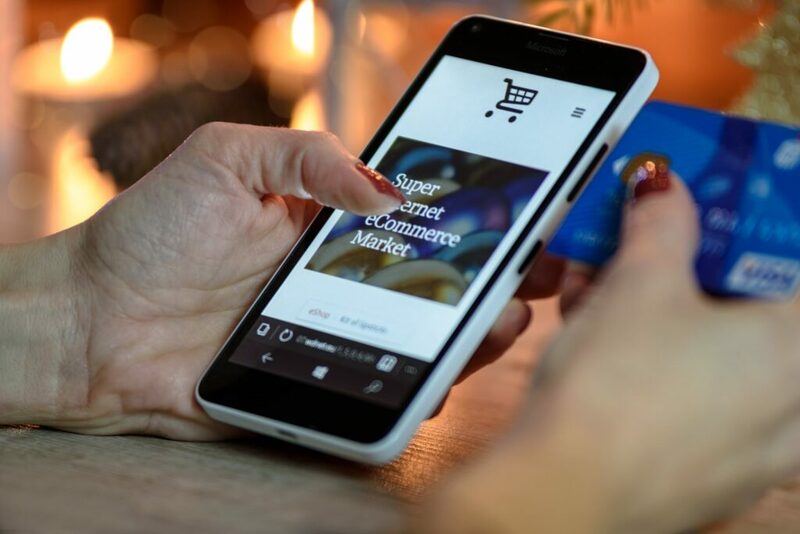 Ecommerce has come a long way since its origins at the end of the 20th Century and today it is one of the biggest marketing sectors in the world. Millions of transactions are made across the internet each day purchasing products and services with a click of a button or the touch of a screen. 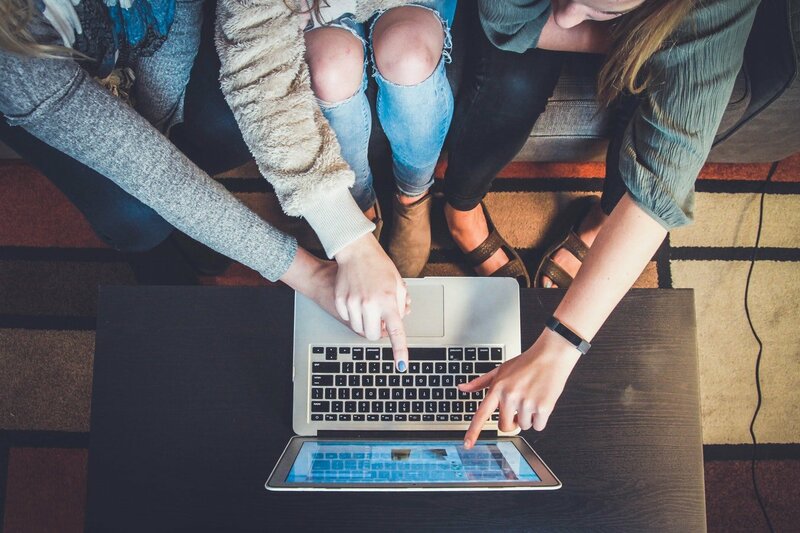 However, for several years now, the shortfall of ecommerce has been its ability to interact and engage a customer, delivering a personal service which can only be found in high-street shops and outlets. However, this drawback is quickly finding a remedy in the form of augmented reality. Although it may sound like something straight out of a sci-fi film, augmented reality, or AR for short, is actually all around us and becoming more common by the day. When you apply filters and emotes to pictures on your smart device, you are using AR, and when you go searching for strange miniature monsters in unlikely places on your phone, you are again using AR. So, what has AR got to do with ecommerce and why may it hold the keys to the future success of online marketing and retail? In this article we’ll be explaining what AR is, why it is so important to ecommerce, what it can offer businesses and their customers, as well as exploring some very successful examples of AR in ecommerce today. Put simply, augmented reality is the ability of a device to project a non-physical object on to a real-life setting. This can include colour filters on smart phones, adding whiskers to your face on selfies and watching a digital dog run around your living room on your tablet. The most common form of AR is marker-based AR which simply superimposes images onto the physical world as in the examples above. There are also several other popular forms of AR however. These include markerless AR which recognises shapes, patterns and colours in an image to create an augmented image to fit the original. A great example of this in play is Snapchat’s own augmented filters which are sympathetic to facial features and body positioning. Another popular form of AR is location-based AR which uses GPS to locate and create an augmented reality in specific places, an example being the mobile app Pokémon Go which took the AR world by storm last year. So, what does AR have to offer in ecommerce? The answer is a huge amount. The most common complaint of online customers is that they cannot interact and try a product and/or brand when purchasing due to the inevitable distance between them at their digital screen and the warehouse where the item is kept. This has always been the advantage of high-street shopping and browsing: that you can actually touch, feel and test a product to your satisfaction and hence increase your likelihood of buying an object. Being able to have a personal interaction with a product greatly enhances consumer confidence as the customer knows that they will not have to return or complain about a product they have physically seen and tried out. This is where AR comes in. The huge advantage of AR for ecommerce is that it can offer this personal and physical interaction to customers and create a shopping experience which is not dissimilar to high-street browsing. By using AR in their applications and websites, retail companies can allow consumers to try on clothes, test out make-up, size a lamp for their bedroom and even fit a cooker into their kitchen! With AR, ecommerce can bring back that personal touch to the shopping experience, giving customers the tools and options to test their products before they are willing to spend their hard-earned money on them. Research has shown that the advantage of AR in ecommerce is not just a theory either. 71% of shoppers said they would shop at a retailer more often if they provided an AR experience and 77% of online customers said they preferred to use AR capabilities on smart devices to preview products, testing their colour and style preferences before purchase. And it’s not just about matching the high-street shopping experience when it comes to the advantages of AR in ecommerce. AR also has the capability to surpass high-street browsing and shopping. To begin with, by the very nature of an online store, you have access to every product in a company’s range, in every style, shape and colour, something which is far from guaranteed in most retail outlets. Added to this the ability to change the product to your preference and then try them out from the comfort of your own home or the other side of the world, you can already begin to see why AR can offer so much more for ecommerce than high-street shops can to customers. Then there’s the physical capabilities of AR. Although many retailers offer showrooms and tutorials for their products, these are not always practical nor realistic settings from which to truly grasp or test a product before purchasing it. Taking an example such as beauty products, you can try out many different brands and products at your local mainstream pharmacist, but it is not necessarily practical to keep physically applying and removing makeup on your face. With AR, the same product testing can simply be carried out by swiping away the virtual makeup before trying another. Taking another example from a different retail sector, furniture showrooms may show you what a sofa or bed may look like in a large warehouse, but with AR you can superimpose those same items in your actual home, making sure you have the right size, fit and style for the room you are purchasing the item for. It has also been found that AR can also boost sales of ecommerce through its own novelty. An experiment conducted by Hidden Creative found that, where products were demonstrated through both AR and a traditional advert in the form of children’s toys, 74% of the parents using AR wanted to purchase the toys compared to 45% of those who viewed the traditional advert. Furthermore, those who used the AR display said they would be willing to pay more for the product than those that did not, a trend that has seen similar results in other surveys with up to 40% of consumers saying they would willingly spend more on a product if it offered or was offered by an augmented reality experience. The use of AR is ecommerce is hardly a new phenomenon, however, it is often an advantage and a benefit which has been overlooked by many companies. Yet there are those who have been using AR in their ecommerce strategy for quite some time now and have made a huge success of it. 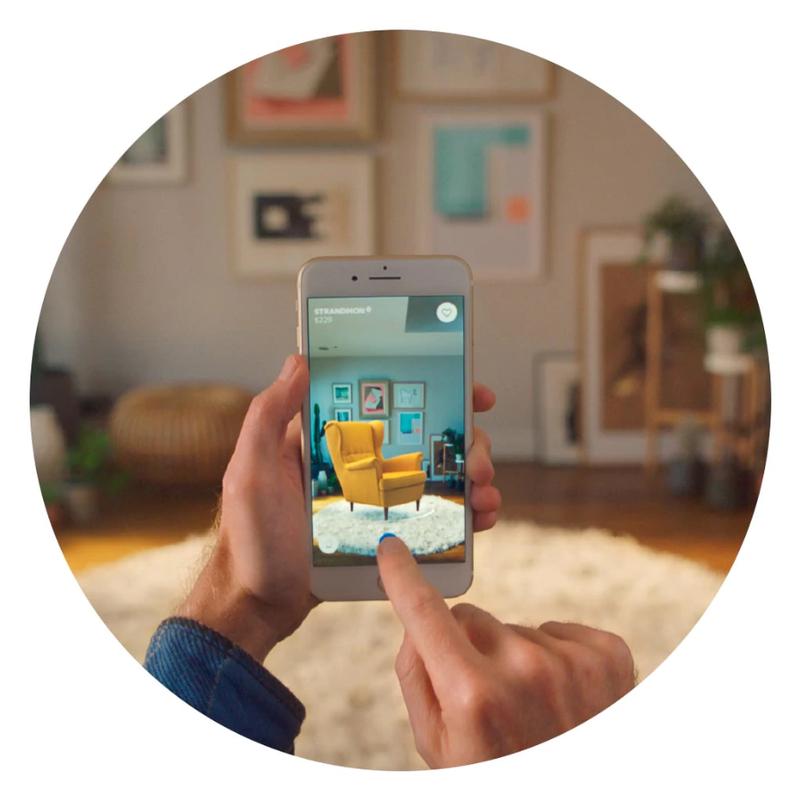 One of the world’s leading furniture outlets, IKEA have been using a mobile app called IKEA Place for nearly a year now and the AR technology has been a huge asset to both the company and its customers. Using marker-based AR, the app allows you to browse IKEA’s catalogue of products and place a 3D image of them in the setting of your own home, enabling customers to visualise the products and ensure they fit into existing spaces without the hassle of returns and exchanges. Furthermore, recently an AR application has been made by a Toronto based designer which goes through the steps of IKEA’s flatpack furniture instructions so customers can assemble them at home in no time at all. Snapchat has been leading the way in AR for quite some time now and AR often forms the basis for why people prefer to use the application on their phone rather than other social media platforms. However, it is only recently that Snapchat have begun using AR in a commercial sense. A few months ago, Snapchat released an additional set of tools on their platform which allowed advertisers and consumers to interact via AR. 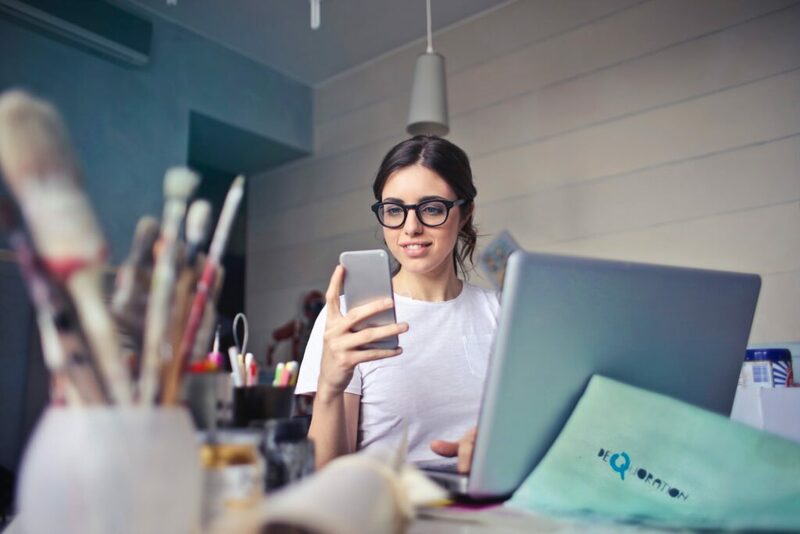 Known as ‘Shoppable AR’, the ecommerce tools allow users to try on or place products on the Snapchat app and, if they like what they see, go directly to the product’s site and make a purchase. With over 188 million daily users worldwide, its clear to see the potential benefits of utilising Snapchat’s Shoppable AR to promote ecommerce. Recently eBay has begun using AR to help users package their items for sale on the site. Built on Google’s new AR ARCore Platform, the eBay’s new app allows sellers to choose from a list of eBay’s preferred box sizes and place them around the objects which are being sent in the post. By superimposing the box around the items, sellers can avoid unnecessary costs for oversized packaging and make deliveries far easier. One of the leading make up brands online, Sephora has used AR to allow customers to try on make up before making a purchase. 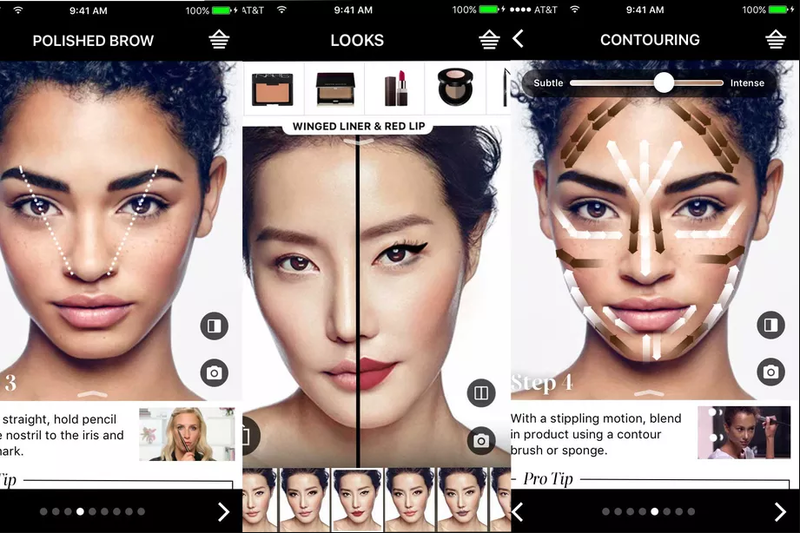 Released last year, the Sephora Virtual Artist app uses both markerless and marker-based AR to create realistic makeup application on a user’s facial features and switch between products with a swipe of a finger. Once you are happy with the product and have tested it, the app allows you to directly purchase the product you want with any other products you used in the app. Besides looking into using AR across all their products and services, Amazon have begun a radical new step towards making fashion ecommerce a very real and personal experience. Called ‘Echo Look’, the AR technonlgy allows you to ‘try on’ clothes by superimposing them on your body, making your webcam or smart device a literal mirror, just like a changing room in a physical store. The AR also allows you to change colour, style and size as well as allowing users to share pictures of themselves wearing the clothes to friends. Such an innovation is quite literally a game changer for the fashion industry as one of the key advantages of high-street clothing retailers is that customers can physically try on something as personal and particular as clothing. With AR apps like Amazon’s Echo Look, fashion’s ecommerce has been given a revolutionary breath of fresh air. It seems clear that augmented reality is here to stay and is quickly becoming a serious asset in ecommerce, transforming online browsing into a personal and immersive shopping experience which rivals, and even exceeds, high-street commercial outlets. Using AR to allow consumers to try out and test products quickly and effectively brings a whole new aspect to online shopping and ecommerce which retailers could only have dreamed of a decade ago. In fact, so successful is the application of AR in ecommerce that it is expected to produce an overall revenue of $120 billion by 2020, a generator of income which online retailers simply cannot ignore. But what can we expect form AR in the future aside from its further use, and indeed predicted dominance, in ecommerce? One aspect of virtual commerce that is rapidly developing alongside AR is VR (virtual reality). Rather than simply superimposing images and objects on existing spaces or people, VR creates a whole new virtual world which customers can enter and explore. Although widely used in the gaming industry at the moment, VR has begun to make inroads into the commercial sector through headsets such as Google Glass which allow consumers to enter ‘virtual shops’ and even test out products in a virtual world such as Walmart’s recently announced home shopping VR experience which will grant customers with the ability to enter a Walmart from inside their own home! Another avenue of augmented reality which is seeing increasing use is through novel promotion. Using existing AR apps or creating their own, companies can promote their products through VR representations of their products or related augmented objects and/or people. Examples of this new trend include the Jordan brand’s Michael Jordan Slam Dunk app which brings the player to life in any space and recreating his famous 1988 slam dunk in 3D, and Domino’s recent Snapchat filter which allows users to wear pizza reflecting sunglasses and share the pictures with their friends. Whether for novel promotion, product testing or even fully immersive shopping experiences, AR is set to become ecommerce’s next big innovation which all online retailers need to engage with. No matter what the product, no matter how it is used, every consumer wants to make sure that, when they purchase something, it is exactly the item they want. In ecommerce, only AR can deliver this personal touch which not only increases the satisfaction of user experience but enhances it, making it the number one priority for online retailers in the years to come.